Nissan just unveiled its new Terra Concept – a fuel cell-powered SUV that will have its world debut at the 2012 Paris Motor Show on September 27th. The Terra SUV concept is described as a zero emissions, zero limits SUV that takes sustainability off-road with its all-wheel-drive hydrogen-electric powertrain. The front wheels of the Terra concept are powered by the same electric propulsion system as the Nissan LEAF. Each back wheel is fitted with an in-wheel electric motor based on prototypes featured in three successive PIVO concepts. The motors are powered by Nissan’s proprietary hydrogen fuel cell stack – a flat, highly compact unit with a power density of 2.5kW/L. Nissan claims that the fuel cell stack costs just one-sixth of its 2005 predecessor, as the need for expensive precious metals has been slashed to one-quarter of the previous level. 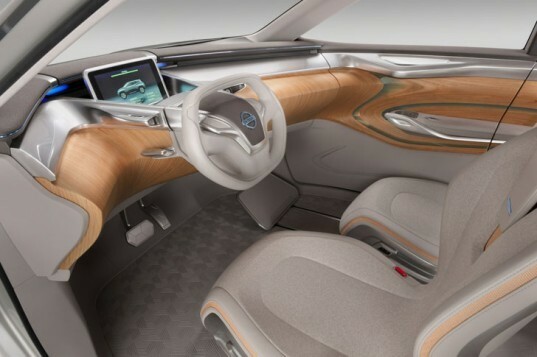 The Terra concept It features all of the typical SUV characteristics with its big tires, high belt-line and thick pillars, but inside the concept features a warm and welcoming interior with its blond wood trim. “Our challenge was to take Nissan’s strength in SUVs and crossovers forward into the zero-emissions era, fuel cells being our new frontier in zero emission mobility” said Francois Bancon, Nissan’s division general manager of product strategy and planning. 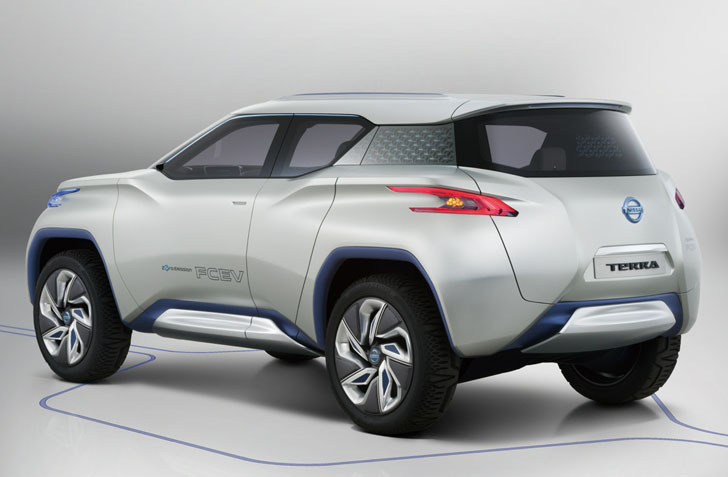 Although the Terra concept is largely a design concept, its fuel cell electric powertrain signals that Nissan is ready to mass-produce fuel cell electric vehicles if hydrogen fuel stations become widely available. Nissan just unveiled its new Terra Concept - a fuel cell-powered SUV that will have its world debut at the 2012 Paris Motor Show on September 27th. The Terra SUV concept is described as a zero emissions, zero limits SUV that takes sustainability off-road with its all-wheel-drive hydrogen-electric powertrain.